In SLOW COOKER, the bestselling author of A YEAR IN A BOTTLE shares her favourite slow cooker recipes. From soups and stews to lighter fare such as ocean trout fillets with spicy asian glaze, and even deliciously moist cakes and desserts, this is truly a recipe book for all seasons, including the warmer months - unlike ovens and stovetops, a slow cooker won't add heat and steam to your kitchen! Sally Wise owns two crock pots and three slow cookers. At this very moment there is probably a pot of something delicious on her kitchen bench, slowly cooking itself to perfection - to say that she is passionate about this style of cooking would be an understatement. In SLOW COOKER, the bestselling author of A YEAR IN A BOttLE shares her favourite slow cooker recipes. Drawn from a collection created over thirty years of preparing tasty, economical and nutritious meals for her family, they include soups, mains - beef, lamb, chicken, pork and vegetables - and delectable desserts. 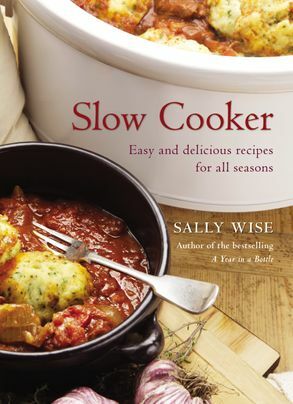 Sally believes that a slow cooker should be among the kitchen tools of every budget-conscious or busy person. these mouthwatering and easy-to-follow recipes will make slow cooking a cinch, all year round.